If you're a 80's/90's kid, you'll know the struggle of having patchy, bare brows after the over-plucking sensation that happened in the early noughties. Whyyyy did we pluck our beautiful, natural brows to within an inch (millimetre*) of their lives? 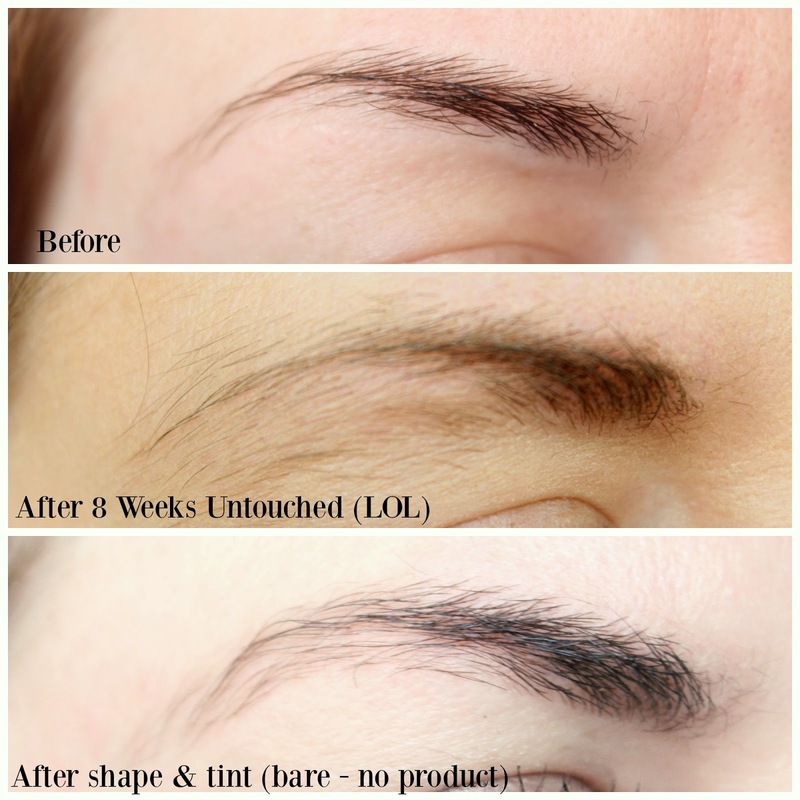 Anyway, I've been barely touching my brows in the past year in the hope that they grow, just going for regular tints and shapes from my fabulous HD Brows Technician Louise. 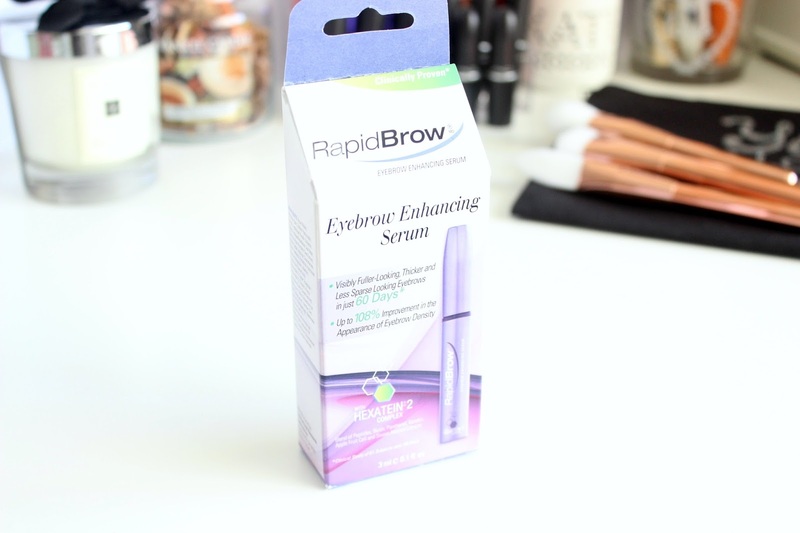 After months of them simply not growing at all, I decided to try RapidBrow Eyebrow Enhancing Serum. Now, it's £37 pretty much everywhere, and there was no way I was paying that for something that might not work. Then I spied it on Amazon for £17 (now £19) and decided to give it a go. 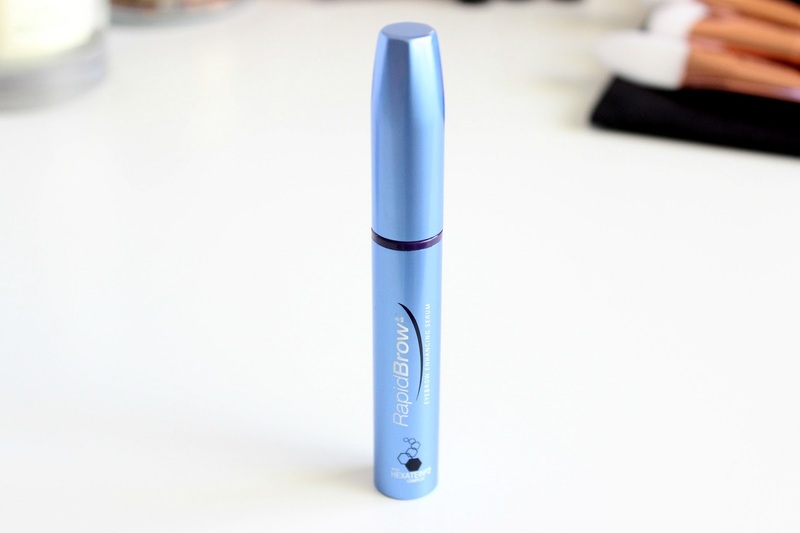 It's basically a clear, unscented mascara that they recommend you comb through your brows (including the bare areas) morning and night. I did it every night and most mornings, missing the odd one. I started using it on the 1st January and went 8 weeks without touching them. I was planning on going until the tube finished, but I seriously couldn't go any longer with the absolute wild beasts. Can you believe that? How amazing? They honestly never grew before. They're thicker, longer, and they've grown at both ends too which is what I wanted most. Looking at that middle pic I cannot believe I went out in public with them. I just kept telling myself *it's a trial for the blog, keep going* - ha! Louise was howling and couldn't believe how wild they had got in just a few short weeks and ran off to order her own tube. They're still not where I want them to be as I want to fill in the sparse areas underneath, but I'll be using RapidBrow until they're exactly how I want them. 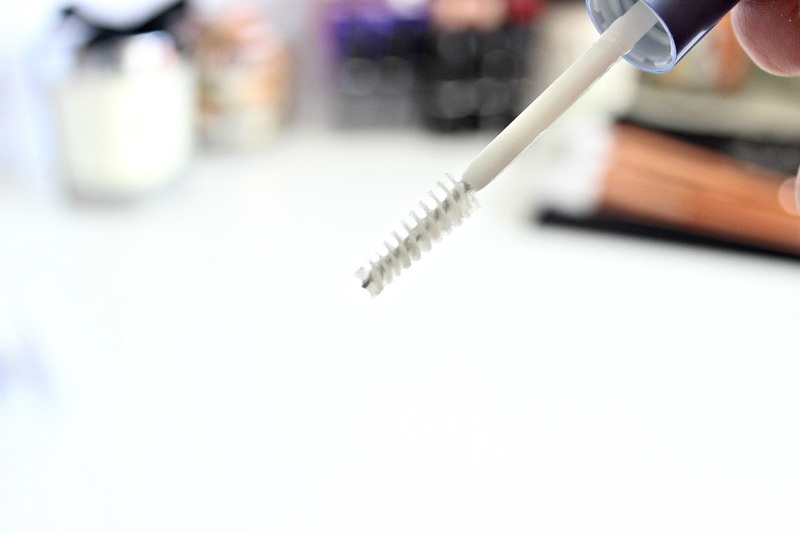 If you have brows that refuse to grow, I fully suggest you give this bad boy a go! !